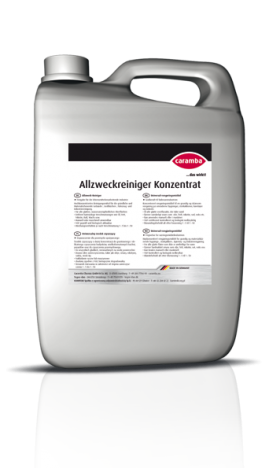 Liquid cleaner with excellent cleaning power and environmental compatibility. 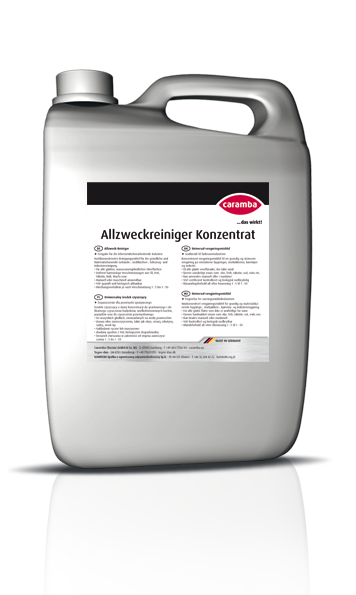 Due to the high concentration CARAMBA all purpose cleaner should be diluted at a ratio of 1: 5 to 1:50 with water depending on the type and intensity of soiling. Either spray the ready for use solution onto the surface to be cleaned or apply it using a sponge. After a short soak time, rewipe using a clean wetted cloth or sponge or rinse with water. 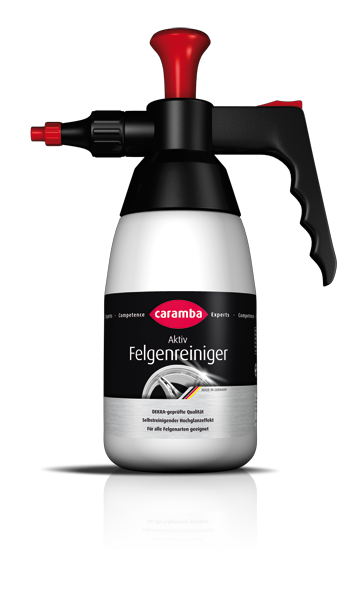 In addition, the CARAMBA all purpose cleaner can be used with a HP device or as a dip cleaner.